Wow, this is wonderful! Mitsuhide is my fav too. He's so beautiful! And so is your art, please make more! Mitsuhide is my favorite Samurai Warriors character. Wow.......So beautiful. Not like Mitsuhide isn't already, but still. 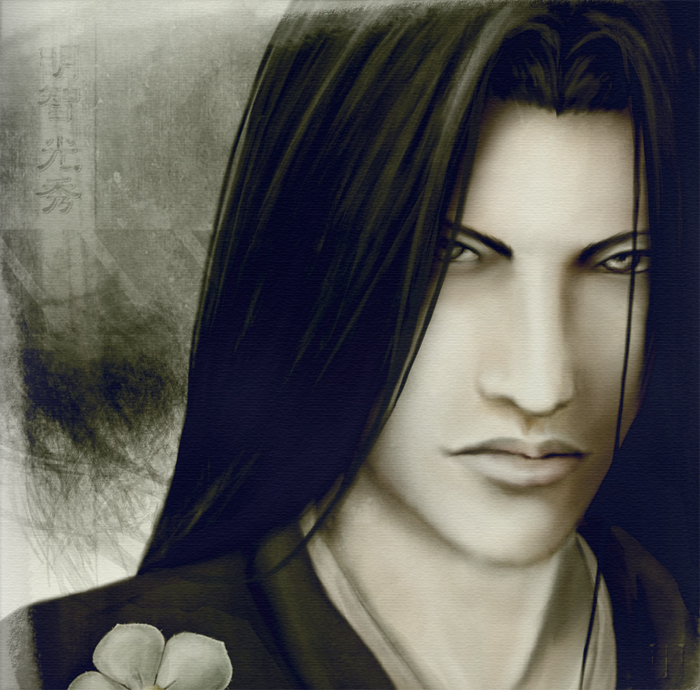 I love this one, even better than your picture of Mitsunari. All your artwork is virtually flawless. I personally love having his charachter on the game, He is my kind of warrior.